Applications...Military, Apartments, Condos, Locker Rooms, Office, Employee Lockers, Garage Storage, Maintenance/Parts Storage, General Storage. 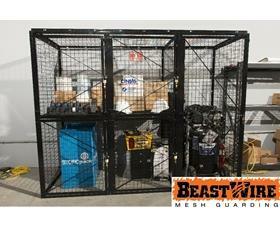 BeastWire Mesh Lockers are heavy-duty, industrial grade, at an affordable price. Don't settle for chicken wire and 2 x 4s and the fire Marshall at your door. 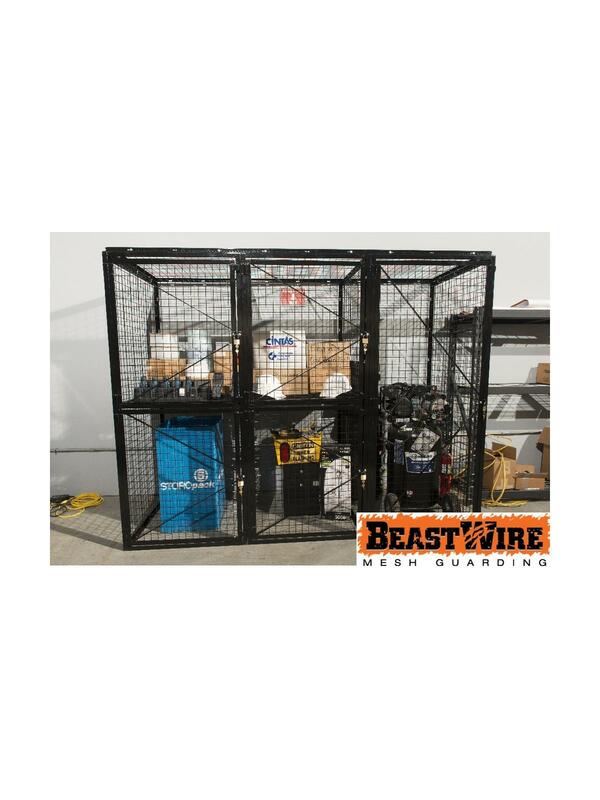 BeastWire Mesh Lockers provide strong, rugged and secure product storage while giving optimal circulation for air, light, and water for fire suppression where solid lockers do not. Standard 6', 7', 8' tall locker heights give you options, and utilize core BeastWire panel design for flexible panel orientation and to easily build onto units. FOB Shipping Point. 10-gauge welded wire mesh, optimal when field cut-outs are required around ducts, pipes or other obstructions. Standard single (full height) & double tier (stacked) configurations. Doors are pre-hung in an outer frame for quick assembly and easy shipment. Only one bolt size required for all door, side, back, and ceiling connections. Adder units only include one side panel. All other materials - door, other side panel, wire mesh shelf (on double tier units) - are included. Lockers come standard with full height, full width door except 8' single tier lockers which have 7' high door. Doors are furnished with bolt on padlock hasps. 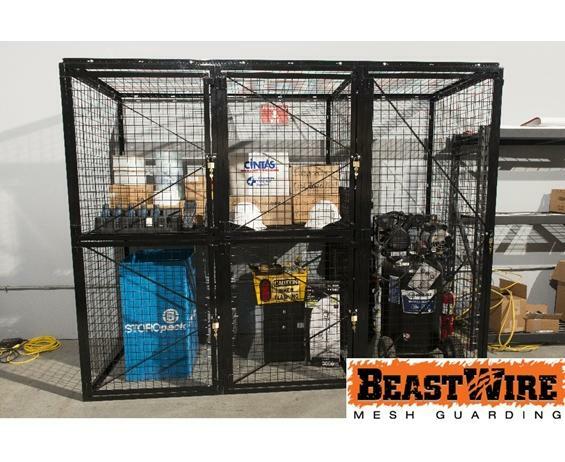 All Rack Guarding and Storage Products are backed by BeastWire's unrivaled 10-year limited manufacturer's warranty. All material will be finished in our standard BeastBlack powder coat, unless otherwise specified at time of order. Please note that colors other than BeastBlack and SpaceGuard Gray may be subject to increased pricing and lead times. See Related Items tab for Mesh Storage Lockers - Locker Options. All prices are FOB Shipping Point. Please be advised that crating charges will be added to your material price to protect your order in transit - please call for details. Steel surcharges may apply.